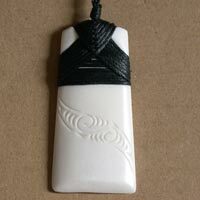 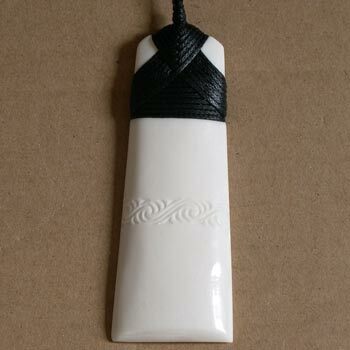 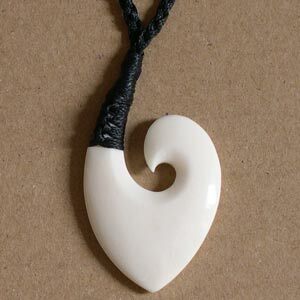 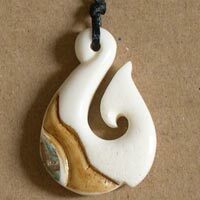 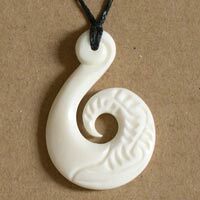 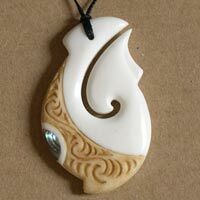 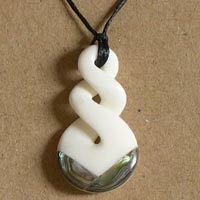 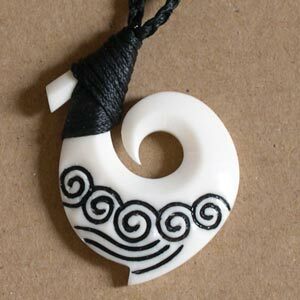 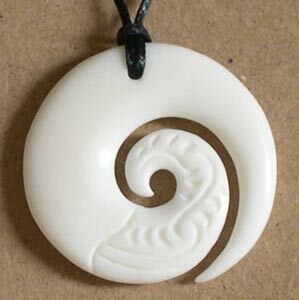 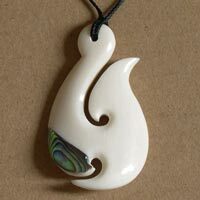 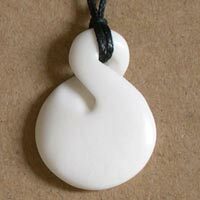 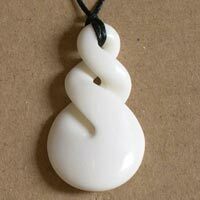 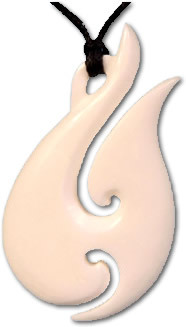 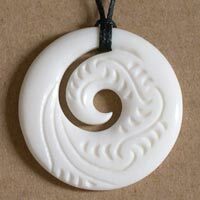 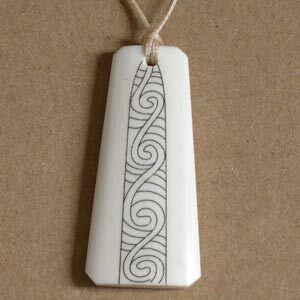 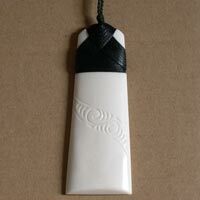 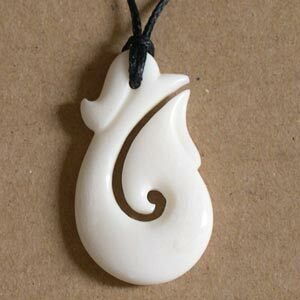 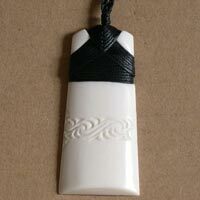 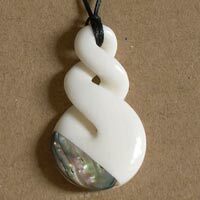 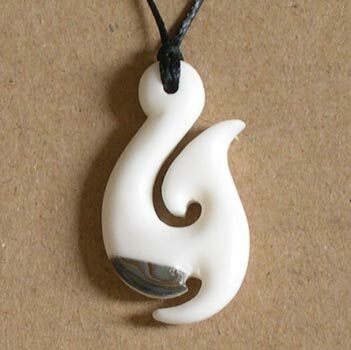 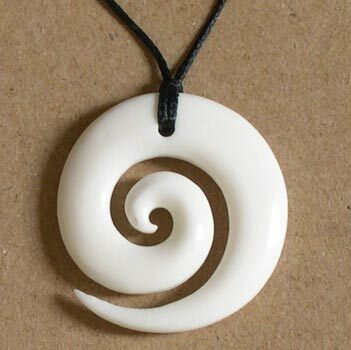 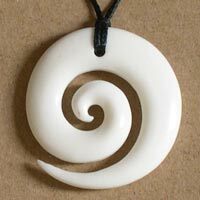 Bone Carving Jewellery Pendant Necklace Maori New Zealand. 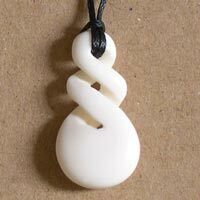 Represents the joining together of two people. 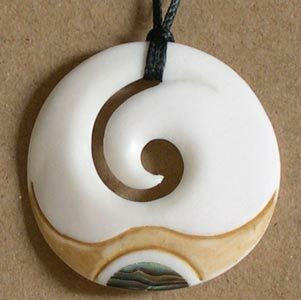 Represents tranquility, peace, positive change, new beginnings, growth and harmony. Symbolizes prosperity, abundance, strength, determination, good luck, and provides safe journey over water. 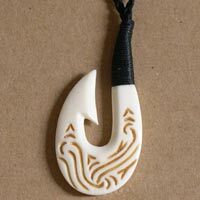 Represents strength, determination, and focus.